Mod Manager, for users and developers alike. 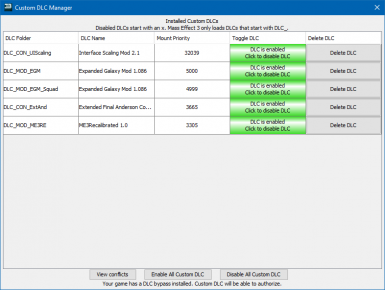 Install, uninstall, and manage mods with ease as a mod user. 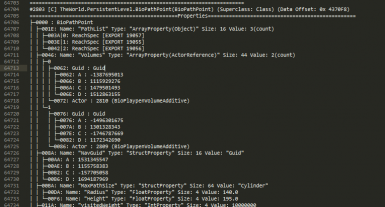 Develop, deploy, and serve updates to users as a developer. 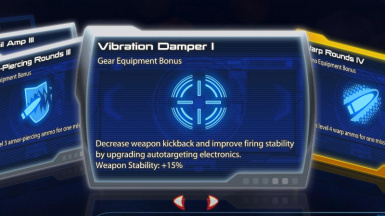 Individual Cooldowns Mod (ME1 Style) Required for support. 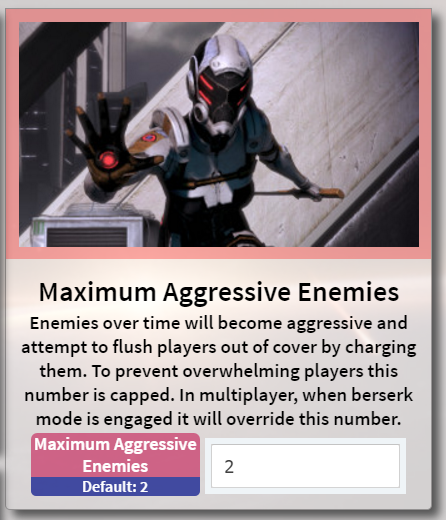 Already included in Mass Effect 3 Mod Manager. 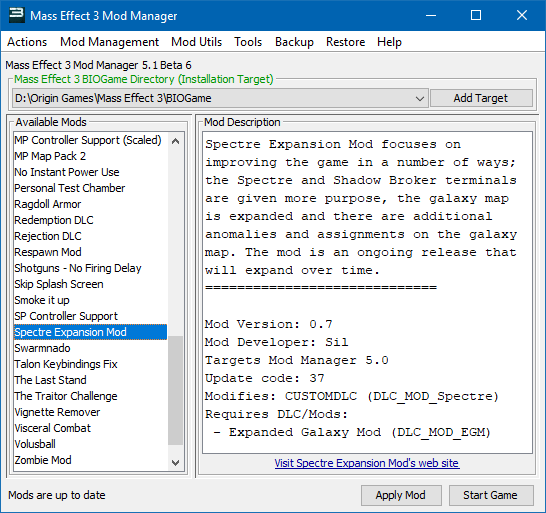 All modifications to Mod Manager must have their source code released, as it is licensed under GPL. 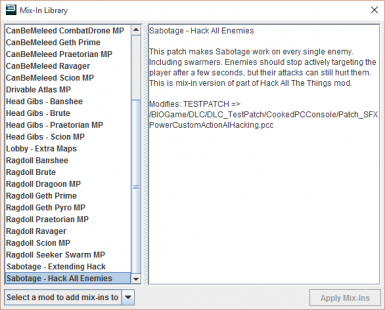 ME3Tweaks is the provider of Mod Manager (this build) and will not support unofficial builds. 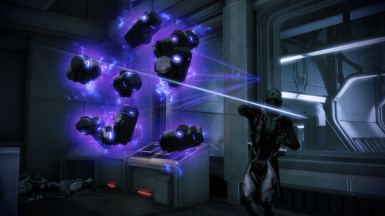 All builds by ME3Tweaks will be signed by Michael Perez, including the main extraction program. If your copy downloaded is not signed, it's not official. 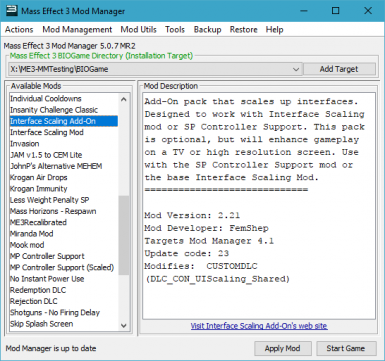 If you release your own modifications to mod manager, you must remove all ME3Tweaks hooks as you are using an unlicensed version of software with my website. 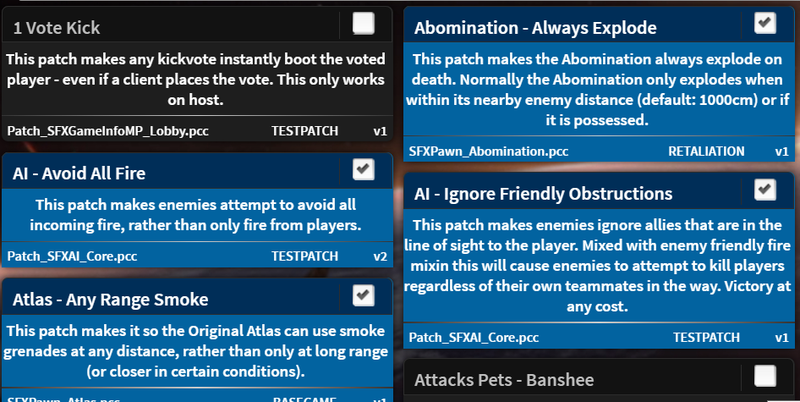 To view the changelog for Mod Manager, please see the help menu in Mod Manager itself, or go to the github releases page (https://github.com/mgamerz/me3modmanager/releases). between the end user of a mod and the developer. Mod Manager has always been designed to be easy to use and has been backwards compatible from day 1. Install mods, Uninstall mods, keep a mod library... the usual. and includes a large slew of extra features! drop me a message and we can discuss an arrangement. The service is free. 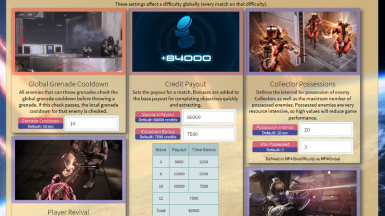 of gameplay variables in an easy to use point and click interface. 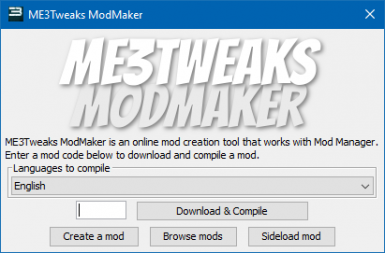 To download a ModMaker mod, simply go to Mod Management and select Download ME3Tweaks ModMaker mod. Enter a mod code and Mod Manager will take care of the rest. Requires additional space for MixIn cache and unpacked file backups. Works on Windows 7 and up. 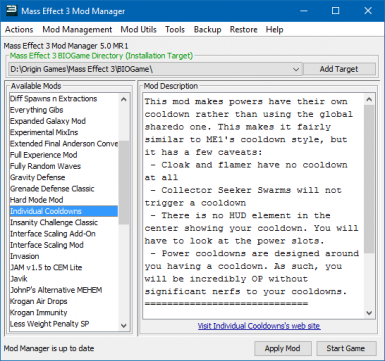 Mod Manager is designed to start being used when your game is vanilla. 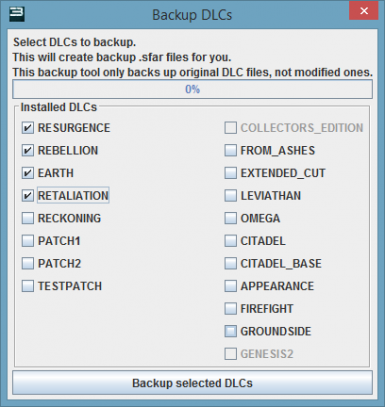 as you can't backup your original DLC files in case things get FUBAR'd in modding land. through the Mod Management menu. or is in a directory whose path contains with those. 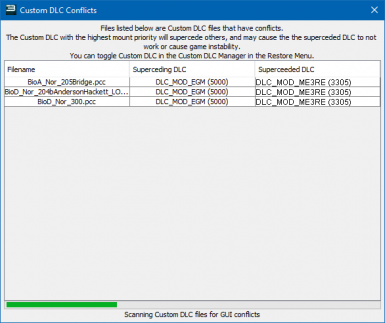 If you're having issues with Mod Manager you can drop a comment here with your issue. If you can't be bothered to read the sticky comment, I can't be bothered to give you a response. 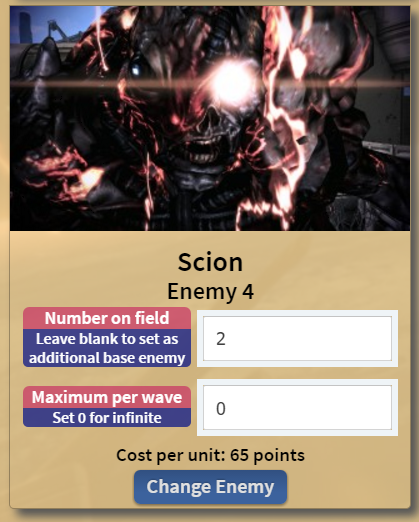 which can be found in the about page of the tool. Mod Manager is open source under GPLv3 on my Github. The libraries used have their own licenses. 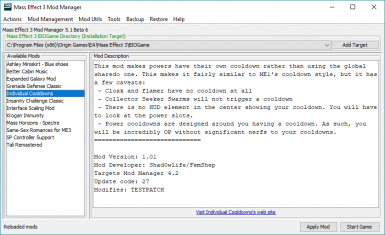 Mod Manager has been in development since May of 2012. Thanks for using my software. It means a lot that I can create tools for others to use. 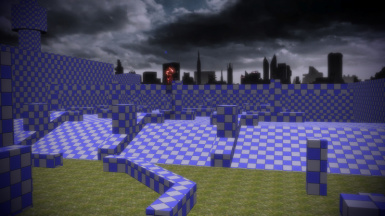 I have to download many mods to test compatibility with many mods so I get a lot of mileage out of it.